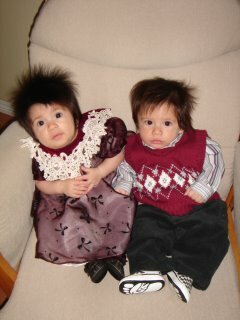 Here are the twins ready for thier first Xmas eve at big nana & tata's house. Of course everyone wanted to hold them, but Patti got one of the twins first. She always has one of them, she loves the twinkies so much! 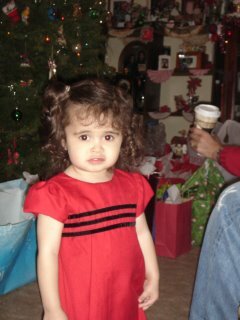 The Phi looked sooo cute in her red dress! Then Santa came and brought the kids presents. 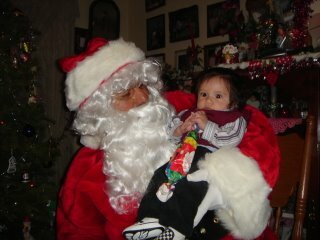 Lili didn't seem to notice it was Santa holding her. 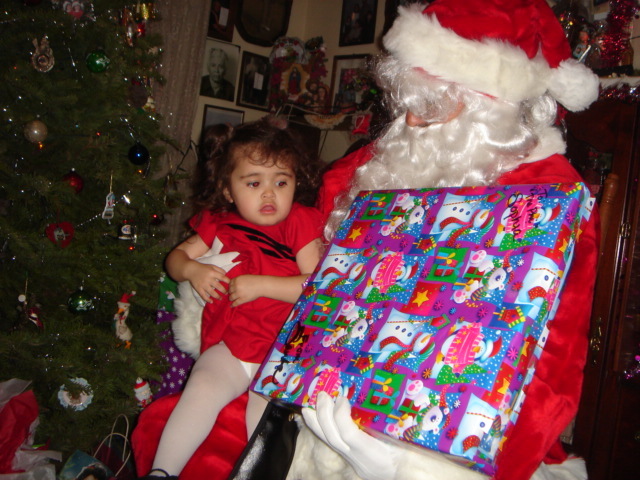 Phi was scared, but she didn't cry. Felix was like, "What's going on? Who's this guy?" 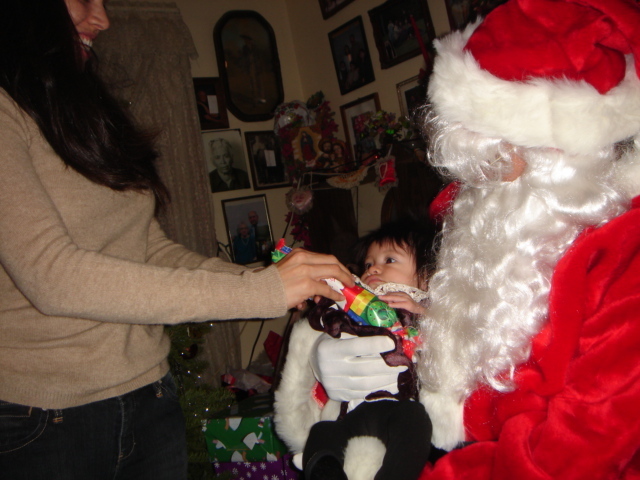 Chone got to spend Xmas eve with her Dad and his family this year. 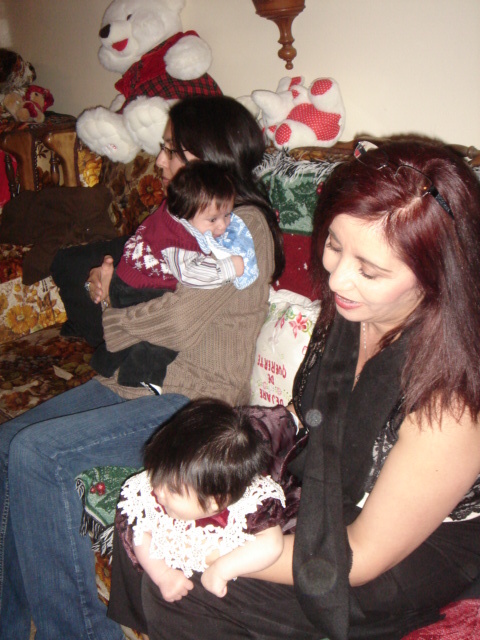 I missed her there, and so did little Gabriel, he didn't have someone to play with :( So I am looking forward to next year when she is with me for Xmas eve. Why is my kid such a weird-o! ?